When I think about a new tablescape, I always try to shop my home first and re-use items that I already have. 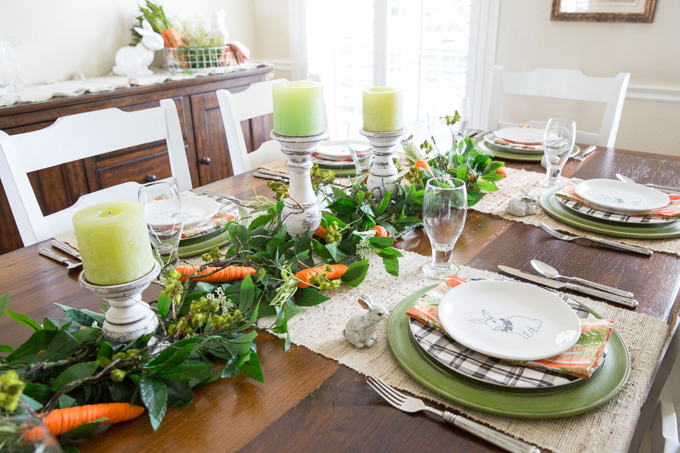 You’ve probably noticed these table runners, green charges and black & white plaid plates keep showing up. Same with the white candle holders and the base of the garland. After I’ve taken a mental inventory of what I might re-use, I go browsing my go-to shops to see what sparks my interest. 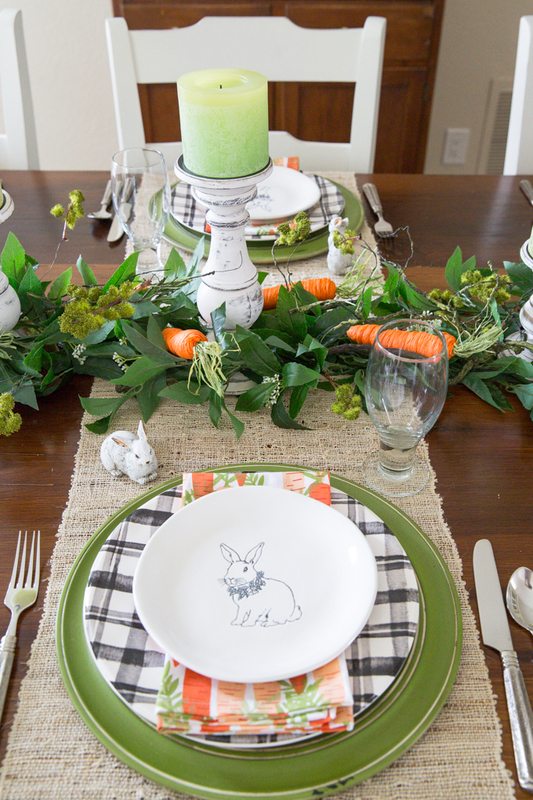 Pier 1 came through for me with the carrot napkins that were the inspiration for the table. 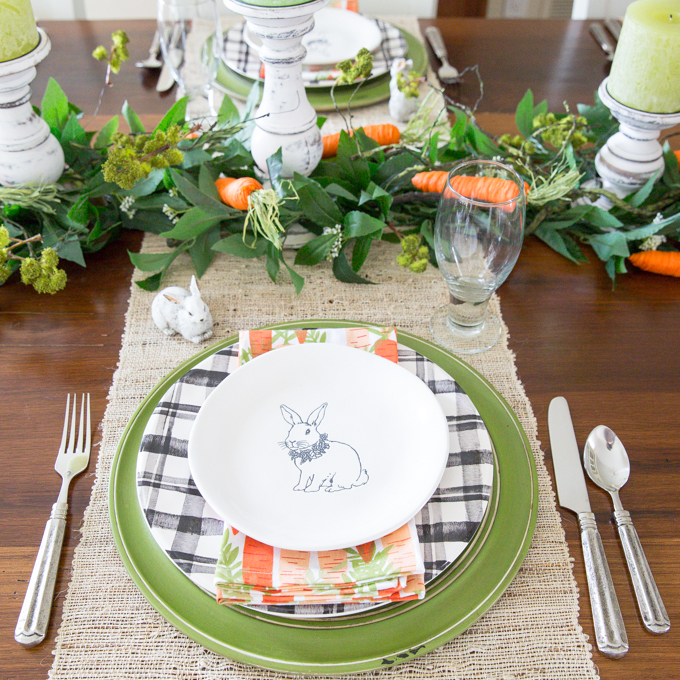 Carrots, bunnys, and some greenery was all I needed set an inviting Easter table. 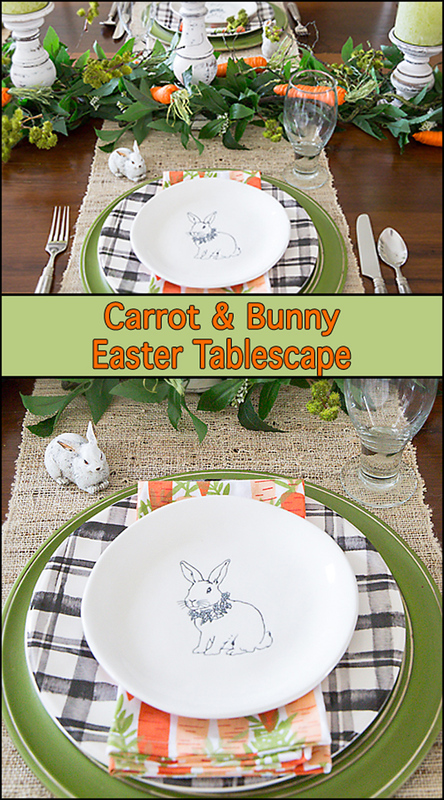 I love the way my Carrot and Bunny Easter Tablescape came together! Last summer I decorated a rehearsal dinner for my niece down at the beach. She wanted beachy, but not tropical or hawaiian. Hmmm…… I just realized I never blogged those tables. Anyways, the garland that you see on the table were used on her tables along with some fresh garland. In addition to the garland, I added pineapples, fresh florals, and lots of candles. Since I have a bin full of the garland, I decided to spruce it up with two long floral picks from Pier 1 and a handful of HomeGoods carrots. 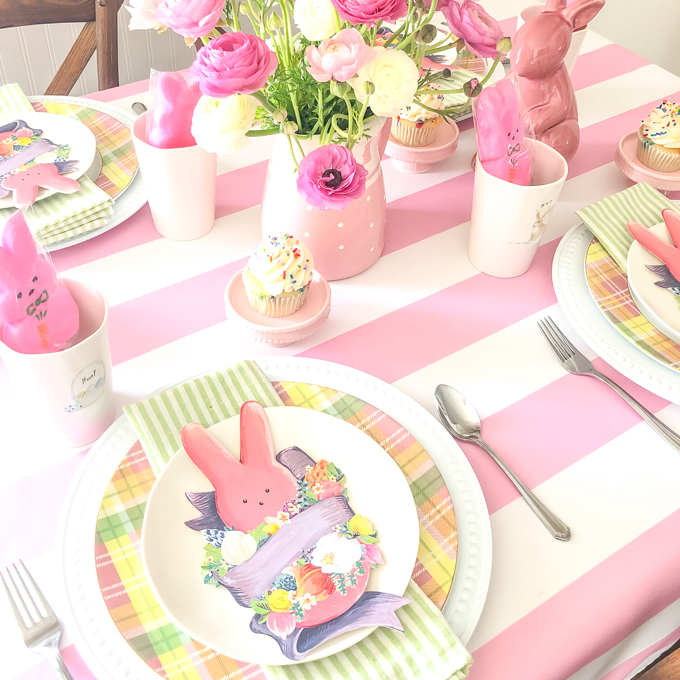 I love how it turned out and think it’s perfect for my Easter table. Please don’t forget, if you love my tablescapes, I’d love for you to share them! 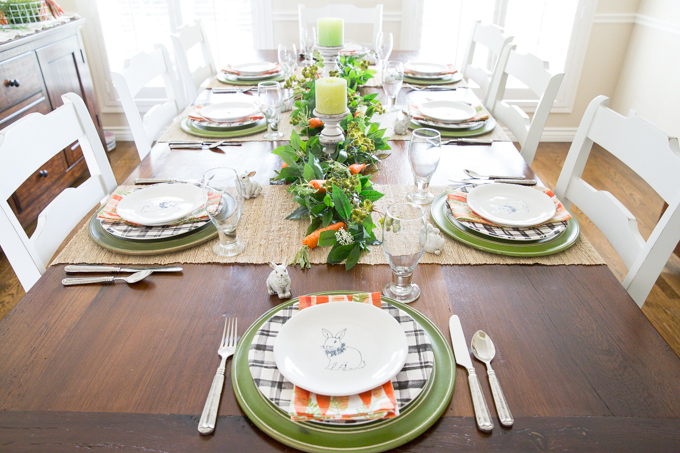 If you’re looking for a “kids” table idea, here you go…..